Sooner or later Grantsville will have something for everybody on Sociable day. For people who do not like to be couped up inside watching the Old Folks Sociable program, they can be outside at the city park inspecting vintage coupes and other vehicles. More than 200 classic cars from Utah and Nevada were on display Saturday at the 11th Annual Aaron McBride Car show at Grantsville City Park. “The first year we did this we just had a few cars on the school lawn,” said Dennis McBride, Aaron McBride’s son. “Several people who come here now come because they knew my dad,” McBride said. Aaron McBride was known as a master mechanic who worked for Howard Hughes and Edde Airlines. He also owned a huge collection of classic cars including nearly 30 Cords. Brian Cox of Erda displayed two of his cars at the show. “Some people put a lot of time and effort into restoring these cars,” he said. “Some are worth anywhere from $50,000 to $100,000,” he said. 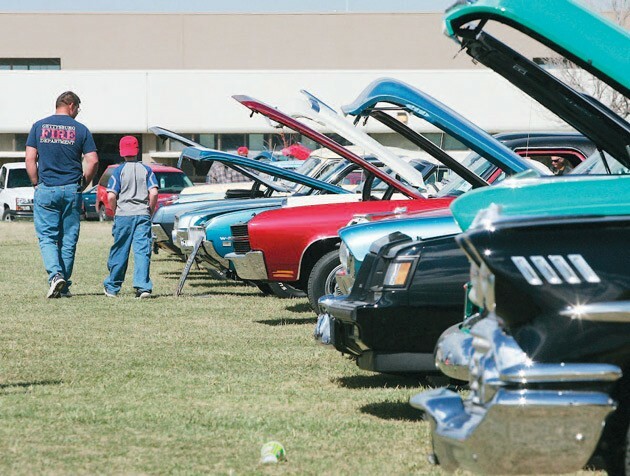 The attraction for most people at car shows is the “eye candy,” Cox said. “They are no longer making some of these cars. The years of 1960 to ‘72 was the muscle car era with bulges or muscles in the cars’ exterior. 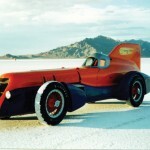 Later on, cars were made for economy and they do not look as good as some of these old cars,” Cox said. Saturday’s show included old tractors, fire engines and sharp-looking trucks. Vehicles filled the park and were on display from 11 a.m. to 4 p.m.